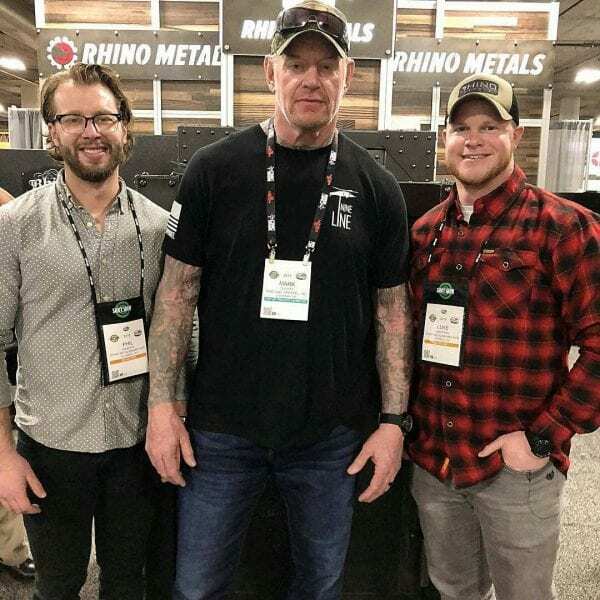 The Undertaker was recently spotted at the SHOT Show which is a huge convention full of anything you can think of pertaining to hunting and the outdoors. 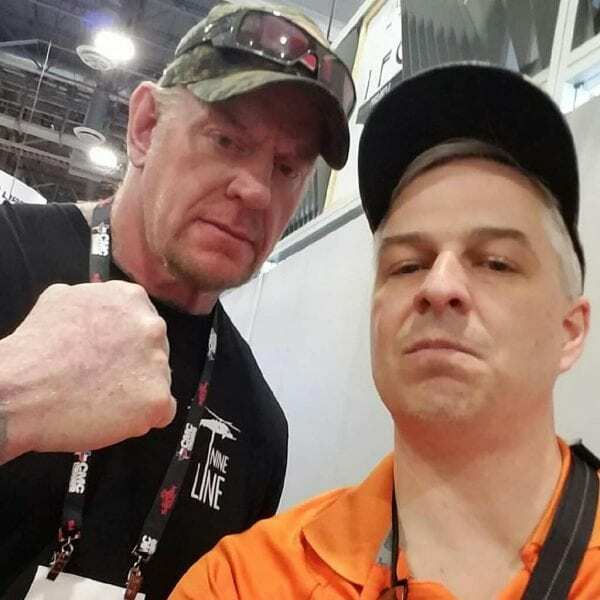 Taker snapped a photo with some Impact Wrestling stars and the internet lost their minds. Eli Drake and Taya weren’t the only two people that got to meet Taker that day. 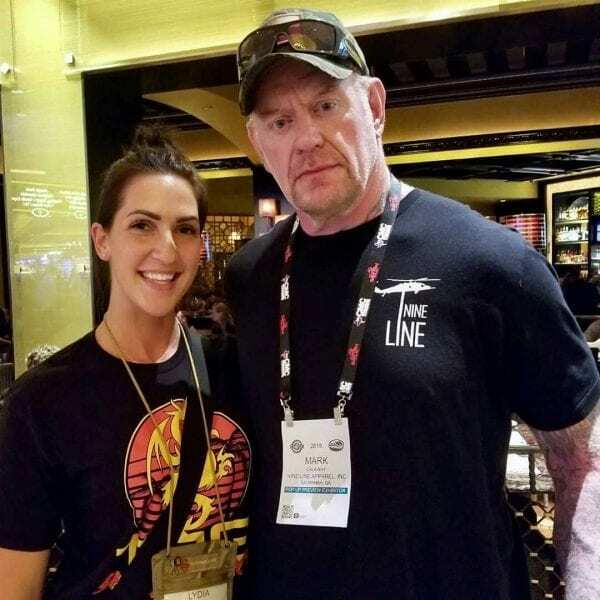 The Undertaker is doing a lot more appearances than he used to and as a legend, it’s good that he’s getting out there more. Sometimes he might get an unexpected kiss in the process. 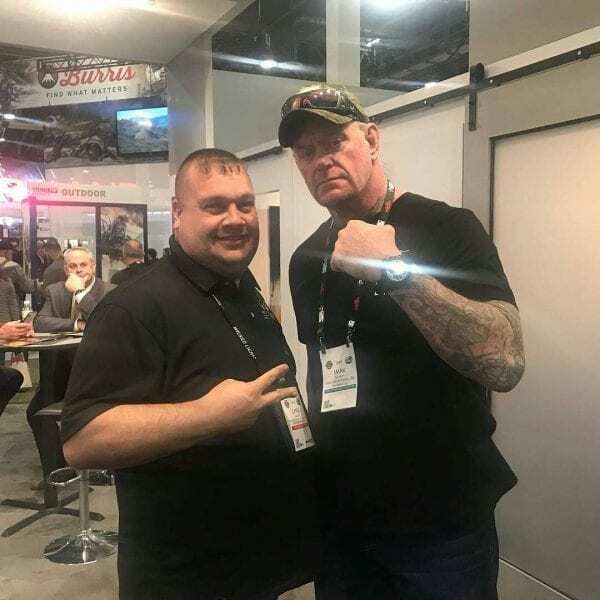 As you can see by the photos, The Undertaker was wearing a lanyard with a badge saying “Mark” (that is his real name) and he looked happy to be there. At least it looked like it if you can call that a smile from the Dead Man. You can check out the photos below. It looks like the only way to see The Undertaker at this point is at one of these appearances because WWE doesn’t seem to have The Phenom booked for a WrestleMania match this time around.